“Jurassic World” was one of the most highly anticipated movies of 2015, and with roughly $1.67 billion in box office sales, it clearly didn’t disappoint. The fourth film in a series of entertaining attempts at recreating dinosaurs dug up roughly two decades worth of nostalgia fossilized in its fans. The first anniversary of the flick got us thinking of a few takeaways that you could use to improve your business activities. Aside from the obvious recommendation to never recreate dinosaurs, we found that “Jurassic World” also provides some helpful hints to increase your ROI and enhance your customer service. One important factor that contributed to the downfall of the Jurassic World theme park was the ignorance of what the terrorizing creature known as Indominus Rex — or “the asset” as it’s casually called in the film — actually was. Apparently a 40-foot killing machine (a T. Rex) wasn’t entertaining enough, so the park scientists decided to make a dinosaur that would be more exciting for the public. The result? A cocktail of classified creatures’ genes, making Indominus Rex the first genetically modified hybrid dinosaur ever created. There’s no way that could ever go wrong. Since the park crew was unaware of the hybrid’s genetic characteristics, they failed miserably in their attempts to corral Indominus Rex once she broke loose from her enclosure. Had they known what the dinosaur was capable of, we imagine their approach would have changed significantly. Likewise, knowing the characteristics of your target audience typically gives you a better idea of how to market to them. So how do you improve your knowledge of prospective customers? By using a call tracking software, you can generate call reports that may provide information like callers’ zip codes, age groups and average income so you know exactly who’s in your market. This information enables you to adjust each marketing campaign to best fit customers within certain demographics. If you want to round up a lot of leads, we suggest acquiring as much information as possible on your target market. If a giant, dangerous dinosaur gets loose, the last thing you want is for it to reach people. You need to do whatever it takes to regain control. In the movie, the park managers opt to send in an "expert" team to take down Indominus Rex, equipping them with glorified stun guns. By the time they elected to employ the abilities of Owen Grady, an expert dinosaur trainer — yes, dinosaur trainer — it was far too late. Like in the movie, if an asset (client) gets away, you don’t want them reaching competitors. If a dinosaur trainer is unavailable to retrieve your lost leads, we recommend engaging the expertise of call monitoring professionals. The professionals will listen to your recorded calls to identify any missed sales opportunities. They'll alert you if a lead needs to be recovered, and you can either rectify the situation personally or assign it to a sales rep. While you could listen to every call on your own to find these escaped leads, they'll likely be long gone by the time you uncover them. You didn’t think a single human could take down a colossal dinosaur, did you? Even a dinosaur trainer as remarkable as Grady needed the help of his team of Velociraptors. Despite the glaring concerns of releasing a group of known killers (reference any of the first three films), the raptors complete the mission by using their exceptional tracking skills to find Indominus Rex and eventually bring her down. Create your own tracking team that’s as relentless as the Velociraptors. If your business is struggling to take down the competitor, put together a group of call tracking solutions to boost your business’ ROI. Inbound lead tracking helps determine your most effective marketing campaigns so your business can focus on the advertisements generating optimal returns. Outbound lead tracking monitors and tracks your employees’ calls, which increases accountability among staff and encourages elite performance. With a team of tracking solutions, your company has the resources to take down its competition. Love business tips from featured films? Check out these dealership marketing tips from the Griswolds. Since we've been in the mood for classic '80s movies lately, we followed "Ferris Bueller's Day Off" with another John Hughes film, "Sixteen Candles." It tells the story of a budding high school romance thrown into chaos by a number of outside influences, which overwhelms the lead character, Samantha Baker, as she tries to make a connection with her crush, Jake Ryan. When you're trying to connect with your crush — we mean your dealership's customers — it's easy for things to spiral out of control due to unexpected circumstances. Maybe you're wasting time and money on a campaign your potential customers have already forgotten, or perhaps you're sending mixed messages to your audience, confusing them and sending them to other dealerships. 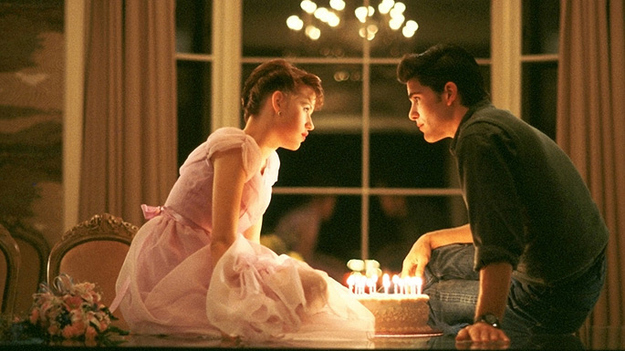 If you're struggling to find that special marketing spark with your customers, here are three marketing lessons we can learn from "Sixteen Candles." The movie starts out with Samantha waking up on her 16th birthday — a day everyone looks forward to. But to her dismay, her family forgets all about her birthday! It might surprise you to learn that, like Samantha's birthday, some of your marketing campaigns are being forgotten and ignored by your potential customers. Likewise, you might be forgetting some of your better campaigns if you're focusing your time and money on weaker campaigns. Be sure you know how your campaigns are performing so you can get the most out of your marketing budget. Since many consider phone calls the best lead source, applying unique toll-free numbers to your marketing campaigns and tracking the resulting calls can help you pinpoint which campaigns are working and which ones aren't. That way, you're not forgetting anything. Samantha doesn't just feel forgotten by her family but also by her big crush, Jake. In fact, Jake doesn't seem to know Samantha even exists before she accidentally drops a piece of paper on which she had written her true feelings. Jake becomes interested in Samantha after finding the paper, but keeps hitting a wall when he wants to contact her. He tries calling her house, but her grandparents pick up the phone and promptly turn him away. Uh-oh! Then he tries going to her house in person, but, due to a miscommunication, he believes Samantha is getting married, when her sister is actually the one planning a wedding. Even bigger uh-oh! If your marketing campaigns aren't sending a consistent message, it can confuse your customers and cost you sales, just as a miscommunication causes Jake to think his chances with Samantha are over. Be sure your marketing messages are consistent across all outlets — from traditional advertising to social media to your website. Customers will turn the other way if you can't back up something that was promised in one campaign and not another. As if Samantha doesn't have enough going on, she also has to deal with Ted, a geeky freshman who badgers Samantha for attention just to win a bet with some friends. It all begins when he moves to Samantha's seat on the bus. Ted tries to make conversation, but Samantha isn't having any of it. His annoying advances continue for much of the movie. Don't let your dealership be a Ted to your customers. Some people simply don't want to receive unsolicited calls, which is why they sign up for do-not-call (DNC) lists. If you're placing calls to numbers on the federal DNC registry, you could face large fines and a damaged reputation. To protect yourself, use a call tracking software that flags numbers on the DNC registry and keeps you in compliance. Jake, Samantha and Ted aren't the only lovable movie characters we can learn about marketing from. Check out some of the lessons we took from Forrest Gump. 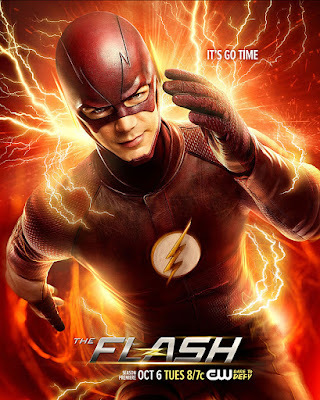 In the television series "The Flash," Barry Allen struggles to balance the demands of his personal life with the demands of being the Flash. Whether you're a superhero or an automotive dealership, life tends to throw curveballs when you least expect them. For the Flash, those curveballs have been epic battles with meta-humans wielding crazy superpowers. Conversely, dealerships might have struggling marketing campaigns or unhappy customers to deal with. If you need help measuring your marketing success or providing speedy, awesome service to your customers, take a few tips from the Flash to keep your dealership in the Speed Force. The Flash rarely goes into any situation without preparing for it. That’s because with preparedness comes the confidence to take on the challenges of the day. Flash understands this and frequently trains on his Cosmic Treadmill or heads to S.T.A.R. Labs to hone his amazing abilities. In many instances, the Flash and his team of scientists analyze threats ahead of time so they understand how to best conquer them. It’s not always easy, but one way or another, Flash finds a way to be prepared for whatever he comes up against. For a marketer, being prepared means knowing who you're targeting when you launch a campaign. For example, if you’re marketing luxury automobiles, do you get more customers with campaign messaging that focuses on price or on luxurious features? Using your incoming call data to analyze location, age group and average income levels to make sure your campaigns target the right groups. Thanks to mechanical engineering genius Cisco Ramon, the Flash is kept up-to-date on everything that goes on in his city. Via his meta-human tracing technology, Ramon seamlessly alerts Flash to any threats. Although he knows about all the threats, there are some situations where the Flash needs to learn a new ability to defeat his foe. In those times, Flash commits himself to mastering a new technique so that he’s more powerful than ever before. Whether it’s a five-alarm fire or another meta-human terrorizing citizens, the Flash constantly pushes himself beyond his limits to keep the city safe. Evolving and improving is just as crucial to marketers in today’s digital age. Social media and other technologies require us to constantly change with the world around us, because a clever campaign might go viral one day and be forgotten the next. Always track the success of your campaigns so you can cut the campaigns that don't keep pace and focus your time and money on successful campaigns — until they, too, run out of speed. It’s easy to get caught up in wanting to impress others by not asking for help, but that can lead to costly mistakes. Despite his amazing powers, the Flash is never above asking questions at S.T.A.R. Labs or leaning on family and friends for support and encouragement. Just as the Flash knows when he needs help with a situation, your employees should know that they have resources and opportunities to help them get better at their jobs. One way to help your sales team improve is to record incoming and outgoing calls and review them for mistakes. If a common mistake is found, you can help management tailor training for specific employees to keep those mistakes from happening again. Whether you’re trying to stay in front of marketing trends, improve employee training or manage the many leads your awesome marketing is undoubtedly bringing in, we can all strive to be a bit more like the Flash. The school year is wrapping up for many students across the country, so we popped the iconic '80s film "Ferris Bueller's Day Off" into the DVD player (we lost our VHS copy — and our VHS player) so we could reminisce about some of our own experiences playing hooky from school. In case you need a refresher, "Ferris Bueller's Day Off" is about a popular high school senior who skips school with his girlfriend and best friend to have an adventure in Chicago before graduating. Believe it or not, Ferris Bueller and his principal, Mr. Rooney, provide some useful lessons for how to approach your dealership's marketing (just don’t skip out on work — you’ll likely get fired if you do). Throughout the film, Ferris seems to be inches away from getting caught and sent back to school, but his creativity helps him always stay one step ahead. His most creative diversion is when he takes advantage of the mind-blowing speed of high school gossip in order to convince the entire school and community that he's extremely ill, minimizing the chances that school staff will come after him — all but Mr. Rooney. Ferris's creativity makes him a natural-born marketer, except that he uses his creativity to market his own popularity rather than a product or business. While Ferris uses his creativity to divert attention away from his day off, being creative and adaptable can help your business stand out from other dealerships and get the attention you want. For example, let's look at word-of-mouth advertising. It might be enough for your competitors to sit back and let a customer tell their uncle about a good experience, but what if they share that good experience on social media or a review website like Yelp? If your customers are bragging about you on the Internet, you need to be creative in leveraging those posts within your own social media marketing. Let people know your customers are happy. However, as priceless as positive word-of-mouth is, negative word-of-mouth reactions can be absolutely devastating (especially since people are more likely to share negative experiences). You need to be prepared for negative reviews and have creative ways to address them. One of the funniest aspects of the whole movie is the plight of Mr. Rooney to prove that Ferris is a masterful liar who isn't actually sick. Mr. Rooney becomes obsessed with catching Ferris and ends up in some ridiculous situations, including a phone conversation he thinks he's having with irate parents. 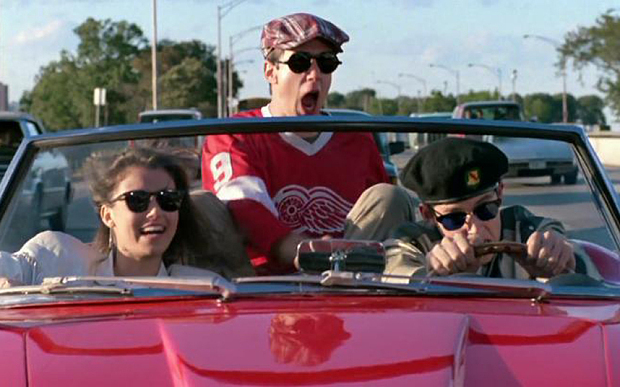 Of course, we know the offended father is actually Cameron, Ferris's best friend. If call tracking software had been around in the 1980s, especially if it synced to a database of student information, Mr. Rooney would have seen the caller's information and saved himself a lot of unwanted embarrassment. Knowing who is calling your dealership can spare you some embarrassment as well. Inbound call tracking that syncs with your dealership's CRM can help you manage all the customer information that comes in on a daily basis. Don't humiliate yourself in the search for customer information like Rooney does in his search for Ferris. Ferris has a knack for tricking people into doing his bidding. Much like Ferris baffles Mr. Rooney through an awkward phone conversation with Cameron, Ferris conceals his true identity through a confusing exchange with a maître d' to get a table at an upscale restaurant. Time and time again, Ferris makes people look foolish because they don't know what's really going on. Not knowing what's going on with your marketing campaigns can make you look pretty foolish too, especially if you don't realize one of your most expensive campaigns isn't actually working. To measure the success of your marketing campaigns, take advantage of the value of phone leads by applying unique toll-free numbers to different pieces of advertising. By tracking the resulting calls you can find out which campaigns are performing to expectations and which should be cut to improve your marketing ROI. Ferris always finds ways to stay a step ahead of his pursuers. If you want to see some ways automotive brands have stayed a step ahead of the competition, check out these great auto marketing campaigns!